Have you ever needed to update a field on a small set of records to the same value? Navigating to and updating each individual record could be very time consuming. We’ll show you how to do it swiftly from the native Salesforce UI, both in Classic and in Lightning. Before we start, there are a few items we need to check off to make sure we can take advantage of this functionality. We’ll be using a list view to edit your records. 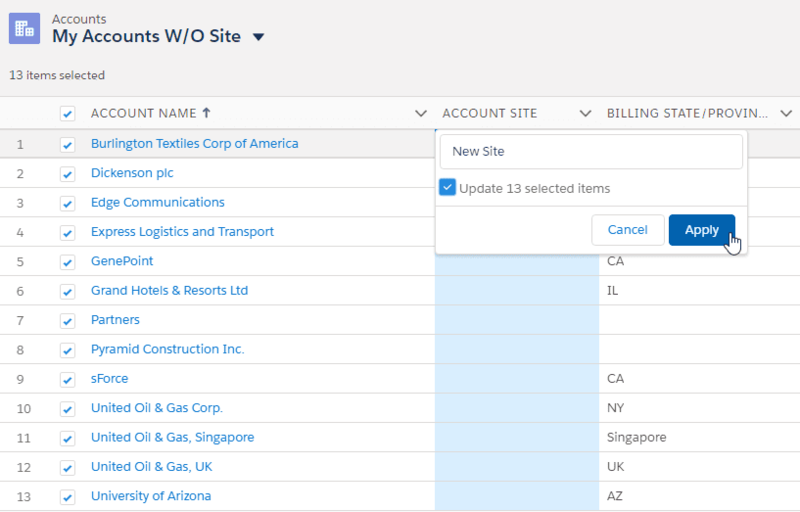 You should create a list view that is filtered to contain the records that you want to update. If your organization uses record types, you must explicitly ensure that only one record type is available in the list view by specifying a filter of “Record Type equals X”. You must also have “Enhanced Lists” and “Inline Editing” enabled in the User Interface section of setup. Your list view should now display a pencil icon whenever you hover over a field that is in-line editable. Non-editable fields will display a lock icon. Double clicking this field will open up an edit dialogue for it, but we want to edit multiple records at the same time. 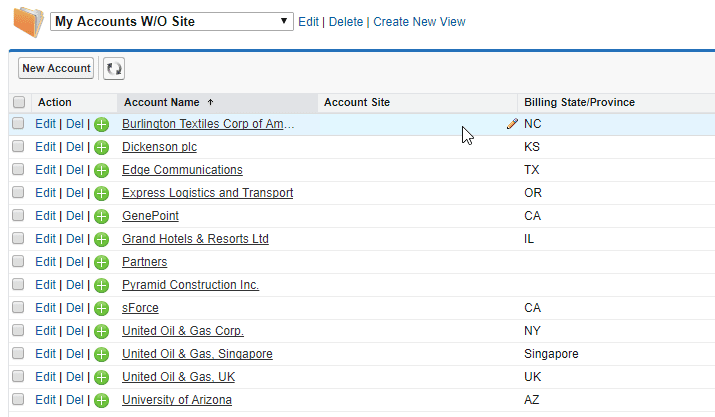 Tick the checkboxes on the left-hand side to tell Salesforce which records you want to mass-edit, then double click the field you want to mass edit. The mass edit dialogue will open. 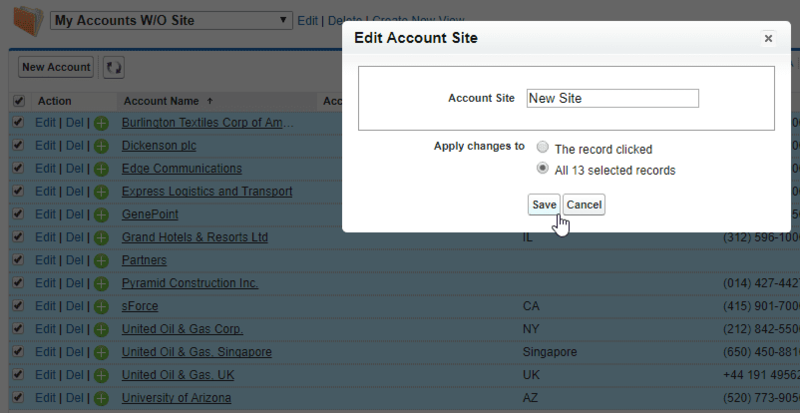 Select “All selected records”, enter the new value for the field and select save. 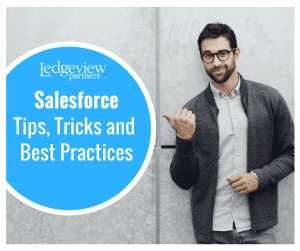 If you are looking to increase user adoption of Salesforce, need training, support, or help with any enhancements, contact us and we will get you on the path to success.